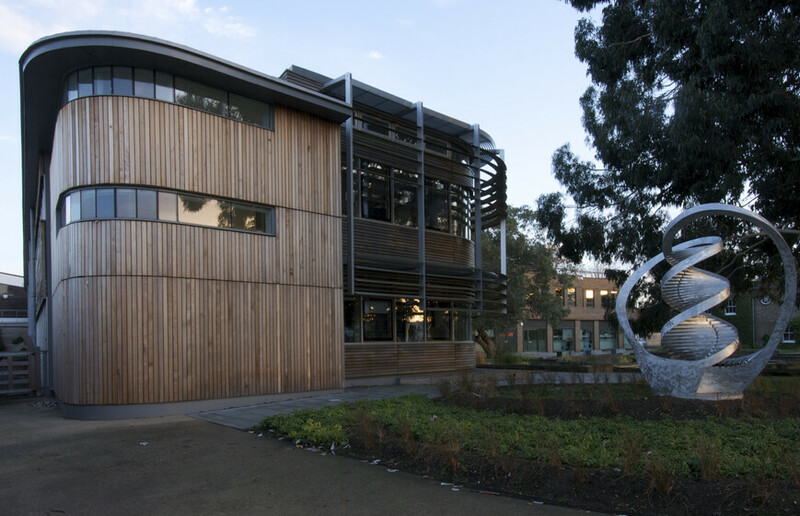 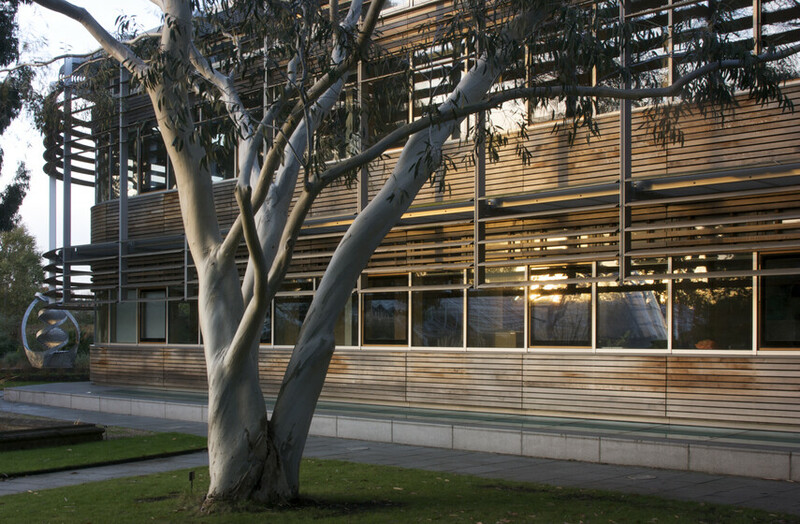 The Jodrell building is extensively shaded externally and is narrow in plan so that non-conditioned spaces can be naturally cross-ventilated. 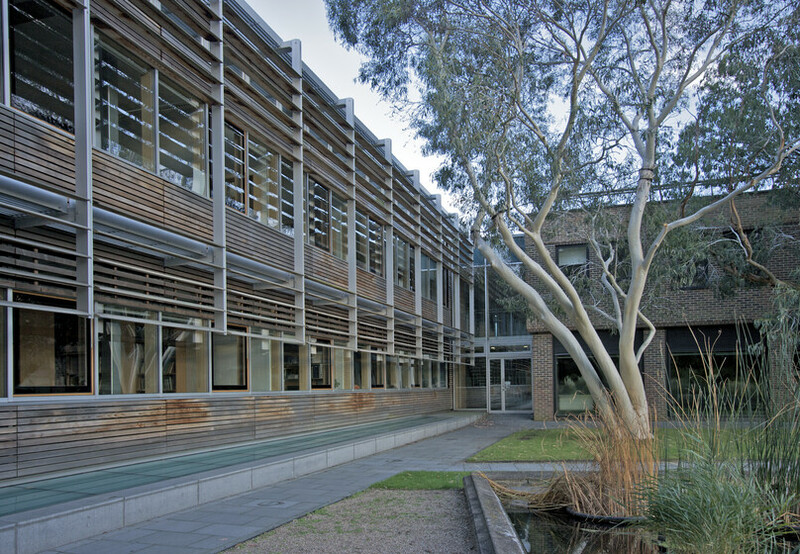 The upper floor employs a step in the roof section to bring north-light into the centre of the plan and to encourage cross ventilation above the perimeter cellular research offices. 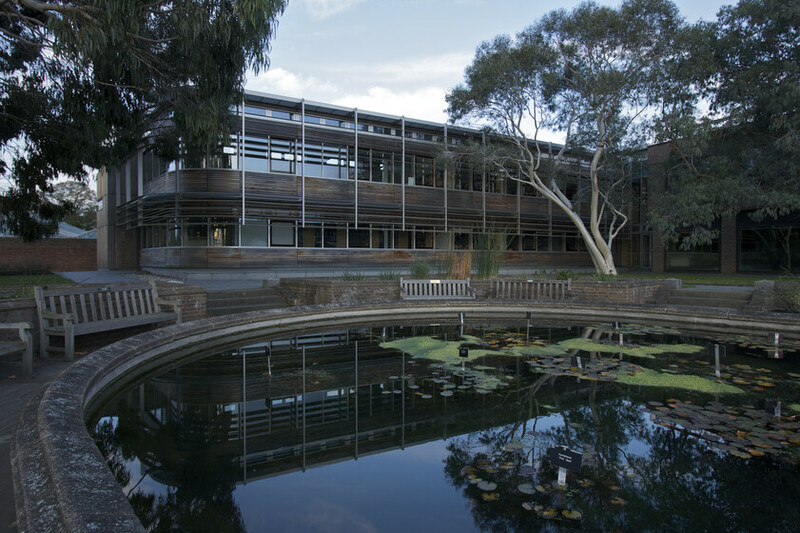 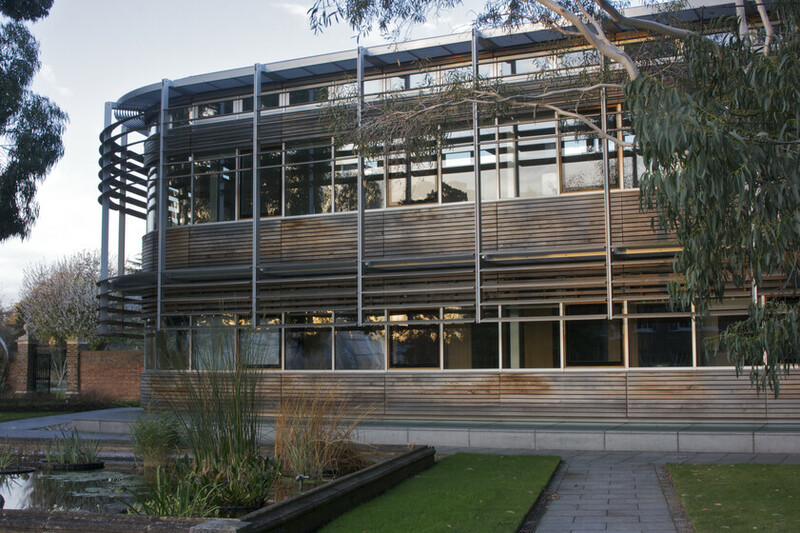 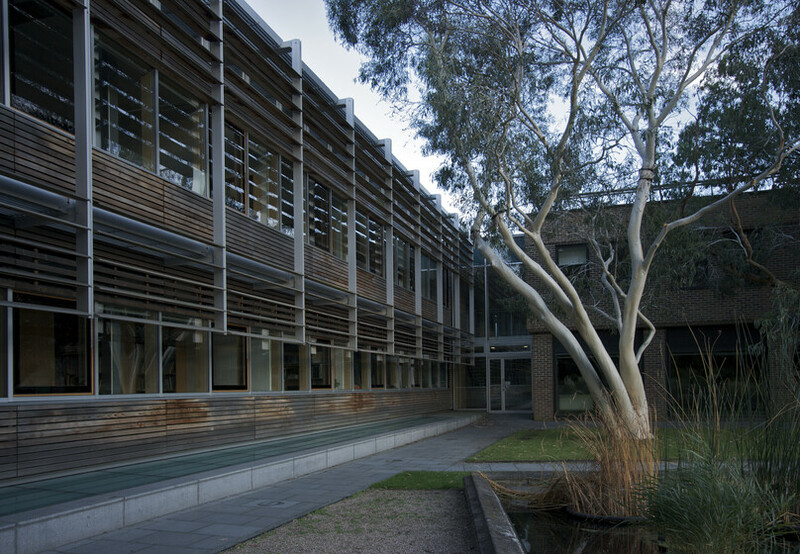 Following the construction of the laboratory, the project included the renovation of the existing laboratories in the adjoining Wolfson building.